Snapchat quietly acquired the French location-sharing app Zenly last month for over $250 million. Now the social network has introduced it’s next big feature Snap Map. The goal of Snap Map is to bring friends together in real life rather than watch one another’s lives through a phone. Snap Map allows both Android and iOS users to share their current location at all times while also giving users the option of going into “Ghost Mode” so that they can see where their friends are without giving away their location. Through Snap Map, people can publicly post Stories by location on a map. Others can then view the photos and videos people are sharing from that location. The map also includes a “heat map” feature which shows where large groups are gathering at the same time. 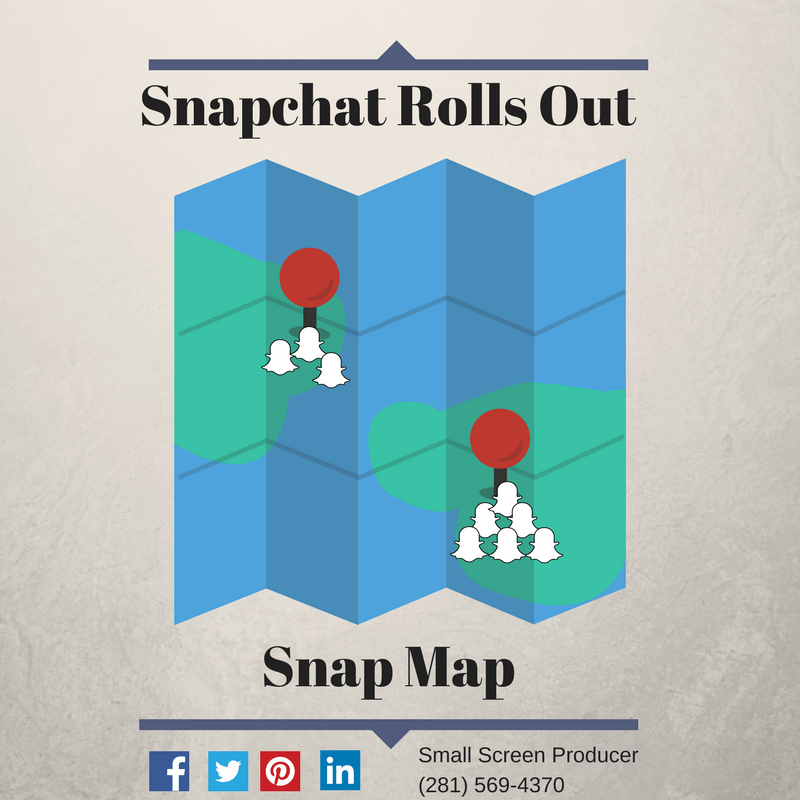 Currently marketers cannot run ads inside Snap Maps, but many are speculating that this will be a feature available in the near future. Marketers may not be able to take advantage of Snap Map yet, but there are other ways you can use location-based advertising to increase your brand exposure. Get on Google Maps. Add, claim and verify your business on Google to be found by potential customers. Once you’ve verified your account you can edit your business information and add photos of your shop and products. Use local SEO. Optimize your content so that you will rank locally by incorporating names of nearby cities and communities. Get local reviews. Local reviews have a significant impact on your local search rankings. Ask customers to post reviews on Google and on Yelp (Yelp is used by Apple maps). Ranking well in the search engines both globally and locally is a challenge. With ever changing search engine algorithms, guidelines and technologies like Snap Map, businesses often feel overwhelmed and end up falling behind. Small Screen Producers takes care of your businesses digital media marketing needs so that you can focus on running your business. Find out more about how we can improve your presence online today at (281) 569-4370.